Commonwealth Writers has announced its short story competition and International Radio Play Writing competition. First: The 2014 Commonwealth Short Story Prize was launched at Marlborough House in London last night, inviting writers across the Commonwealth to submit entries for the prize. The prize is free to enter, and awarded for the best piece of unpublished short fiction (2,000-5,000 words) in English. Regional winners will receive £2,500 and the overall winner receives £5,000. Short stories translated into English from other languages are also eligible. The 2014 judging panel will be chaired by Ellah Allfrey, Deputy Chair of the Council of the Caine Prize, and previously Deputy Editor of Granta and Senior Editor at Jonathan Cape, Random House. The judges are: Doreen Baingana, Michelle de Kretser, Marlon James, Courttia Newland and Jeet Thayil. 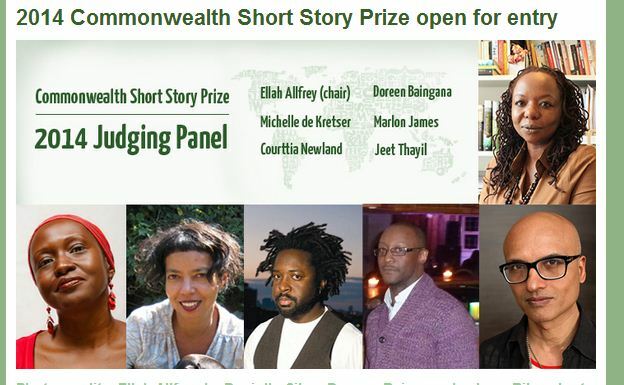 Commonwealth Writers is continuing its partnership with Granta Magazine to give the overall and regional winners of the 2014 Commonwealth Short Story Prize the opportunity to have their story edited and published by Granta online. Second: The 2013 BBC World Service International Radio Playwriting Competition is open for entries. In partnership with the British Council and Commonwealth Writers, the competition offers a unique opportunity for writers from all around the globe to use the immense power of radio drama to tell the stories that matter to a world audience. Now in its 24th year, it is expanding to include an additional prize, the Georgi Markov Prize in collaboration with the Open University, which will honour the script from the shortlist that shows most promise. The free competition welcomes scripts from anyone outside the UK, whether established or new writers. The dramas need to be 53 minutes long on any subject.